The Major League Baseball Commissioner should re-instate "Shoeless" Joe Jackson so he can take his deserved place in the National Baseball Hall of Fame. Visit the Shoeless Joe Jackson Museum and Library at 356 Field Street, Historic West End, Greenville, South Carolina 29608 (across from Fluor Field). "Shoeless" Joe Jackson (Joseph Jefferson Wofford Jackson) is the most famous player associated with the "Black Sox" scandal, and, is also the one player many consider to be innocent of any wrongdoing (possibly 1 other player may have been innocent - George Daniel "Buck" Weaver). It was alleged the underpaid Chicago White Sox accepted bribes to deliberately lose the 1919 World Series against the underdog Cincinnati Reds. "Shoeless" Joe had a 1919 World Series batting average of .375 (highest for both teams), 12 hits, smacked the only home run of this World Series, 6 runs batted in, and committed no errors. "Shoeless" Joe accounted for 11 of 20 runs the White Sox scored in the 1919 World Series. 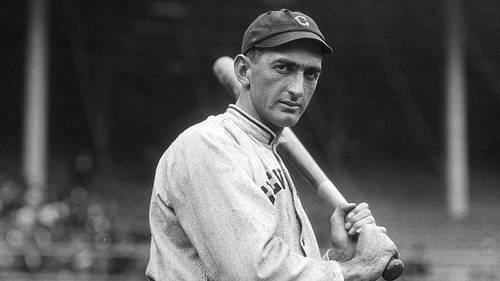 Because of his outstanding performance and continued denial of any involvement, many are still clamoring (more than 100 years later) for his reinstatement to Major League Baseball, therefore making Shoeless Joe eligible for the National Baseball Hall of Fame. Shoeless Joe - The True Story" (by Shoeless Joe Productions ) will be a full length​ feature film told in story form. Joe’s story is a part of history - and not just of baseball history. The scandal impacted the nation, not just the world of baseball. Production is scheduled for summer 2019 with a release in December 2019, just in time for the 100 year anniversary of the infamous 1919 Black Sox scandal. Schedule Dr. Burke's Shoeless Joe - Black Sox presentation! If you would like to hear Dr. Burke's presentation entitled, “Gambling and Baseball: The Roles of Shoeless Joe Jackson and other Chicago White Sox in the 1919 World Series (Black Sox Scandal)” please contact him via this link. Dr. Kevin L. Burke is a Professor of Kinesiology at Queens University of Charlotte where he teaches Sport History, Sport Psychology, Sport Sociology, and Sport in Cinema. 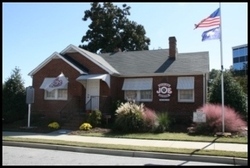 Dr. Burke is a volunteer at the Shoeless Joe Jackson Museum and Library located in Greenville, South Carolina. He also created and manages the "Shoeless Joe Museum" Instagram site.